Fort Pickering lighthouse as seen from Winter Island Park in Salem Massachusetts, mid March (2019). 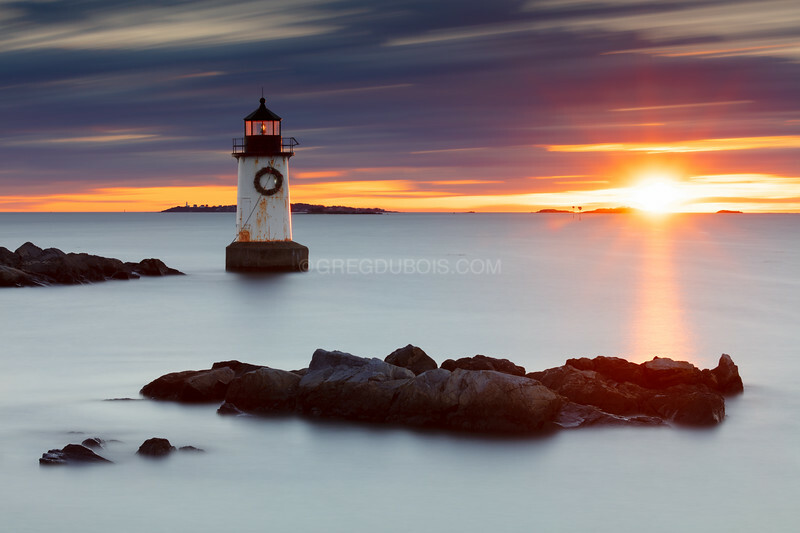 High-tide coincided with sunrise for this single four minute exposure. Bakers island can also be seen behind the lighthouse on the horizon.